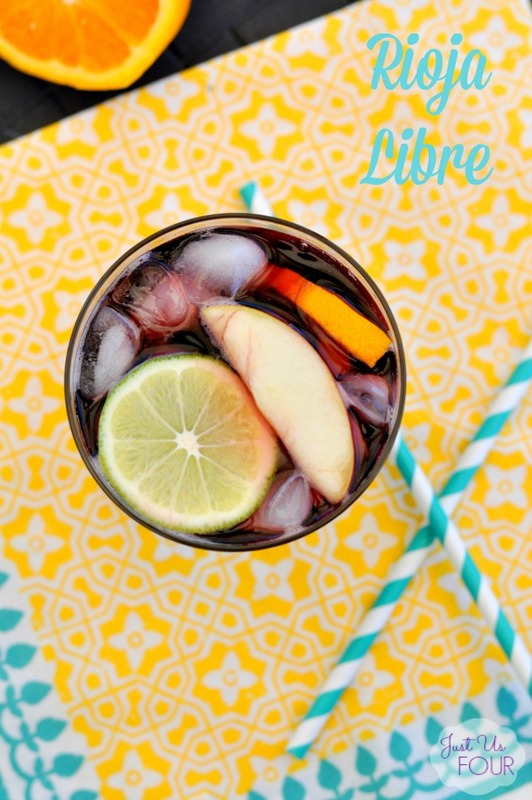 A Rioja Libre is a simple mix of soda and red wine that originated in Spain. 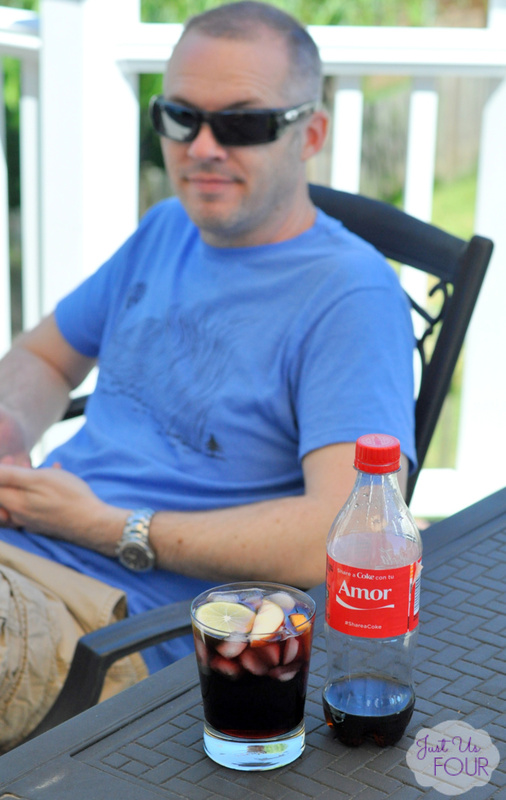 It is also referred to Kalimotxo or Calimocho and is really popular because it is so simple to make. The wine lovers in your life might raise their eyebrow a bit when they see you making this but one taste will totally change that opinion! 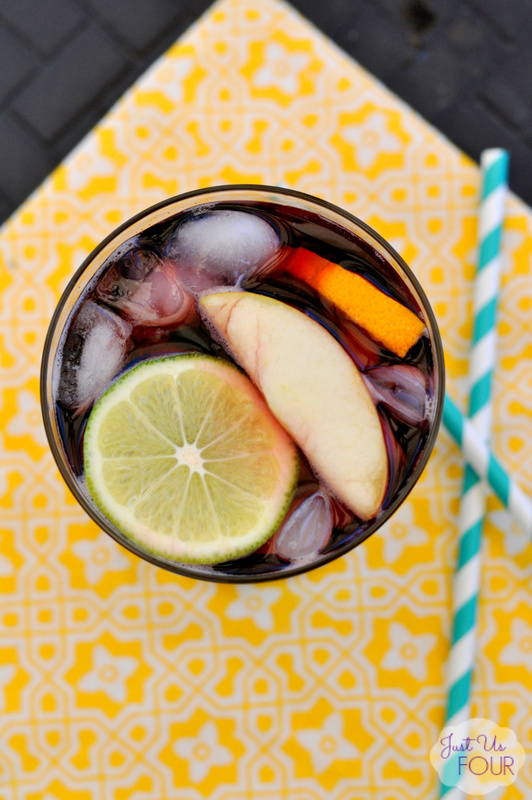 1) In a large pitcher, add fruit, rioja and coke. Serve in cups over ice. Traditionally, just sliced lemon is used for a Rioja Libre but for our batch at the party, I used apples, orange and limes. 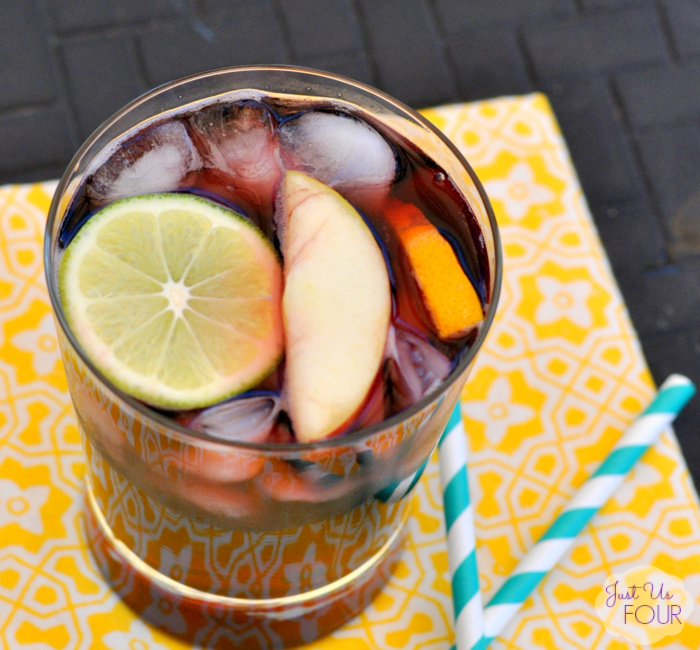 And even though Sangria traditionally has brandy, adding the fruit made this cocktail reminiscent of a Sangria which is always a favorite. I love cocktails that only require a few ingredients but are so easy to make for a large crowd. I have a great mason jar style drink dispenser that this looks so great in. Plus, once it is mixed, my work is done versus me having to mix drinks for each person. I love all of the fun sayings on the Coke bottles right now. We bought a bunch from our nearby Giant Eagle store and I found the one perfect for Mathlete. What kind of cocktails do you like to make for parties? Place sliced fruit in a large pitcher. Add Rioja and Coke and gently stir. You had me raise an eyebrow the minute I read that it is mixed with coke and then you stated that we wine lovers would. I had to chuckle to myself. I am not a soda drinker, but I may just have to try this out. 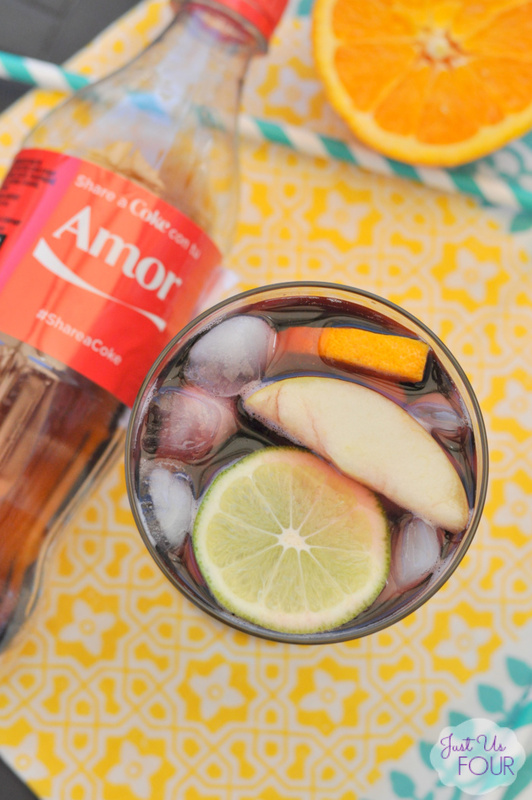 I love sangria and if you recommend this…I’ll just have to try it. Thanks for sharing. I am a big wine fan so I definitely was skeptical. But, after talking to some friends who had recently visited Spain, I was totally on board with trying it. Let me know what you think!